Breast cancer is the most common cancer among women. Regular breast exams, either done by a medical professional or at home by yourself, are important. They can make you aware of changes in your breasts. These titles, from our digital collections, take you through different experiences in making decisions about treatment and having support resources. One mastectomy, two C-sections, three pant's sizes, and lots of red lipstick later, Geralyn Lucas is dealing with the same issues as other women her age. Her miracle babies have grown into a typical tween with a fierce eye-roll for her mom's failings and a tornado of a little boy who won't play by his preschool's rules. Her storybook romance with her husband has spiraled into couples therapy and her perfect-if-demanding corporate job as a TV producer has abandoned her for L.A. When she looks in the mirror at her hard-won wrinkles, all she wants is . . . Botox. 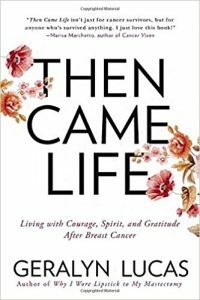 Susan McBride, author of The Cougar Club and Little Black Dress, opens her heart in this irresistible memoir about how she got married, got pregnant, and beat breast cancer—all after her 40th birthday. 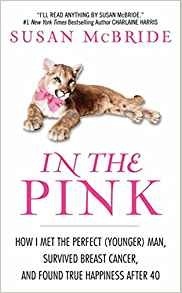 By turns deliciously funny and utterly poignant, In the Pink is definitely Susan's story . . . but her experiences are parts of every woman's journey. Getting breast cancer marks a huge shift in how you are living. It often comes at the most inconvenient time and can temporarily put fear and disorganization on the forefront of your life, emotions and thinking. The first step is to take a deep breath and ground yourself. This book can help with that. Dr. Sherman, a psychologist and breast cancer survivor wrote this to help you absorb your diagnosis, assess your treatment situation and get through your surgery, chemotherapy and radiation in the best possible way. She gives you tips, warns about possible pitfalls and shares her personal experience, every step of the way. My Quick Guide to Breast Cancer will: • Help you prepare your medications and calendar for treatment • Check your insurance coverage for your hospital and surgery • Make your "No Can Do Lists" for chemotherapy and radiation • Reach out to relevant cancer organizations. • Figure out your "Healing Team" and contact numbers. • Make a Mind/Body/Spirit healing plan. 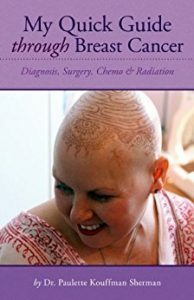 • Understand your blood counts, chemotherapy cocktail and doctor notes. • Explore getting a wig, a short haircut, hair loss and henna crowns. • Create a work plan that's manageable during your treatment. • Make a list of chemo buddies. 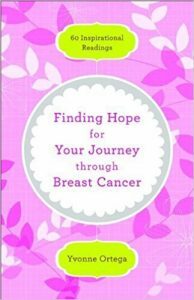 • Find a few good cancer role models and sounding boards. • Explore getting the BRCHA test & the Neulasta shot. • Explore the role of your diet with a cancer diagnosis. And much more!